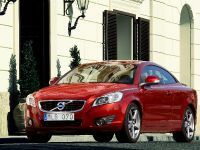 The new Volvo C70 will be launched at the IAA Frankfurt Motor Show 2009, which will start the 15th of September. This convertible will hit the market in early 2010. 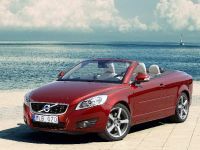 The Volvo C70 from 2006 was the first four-seater convertible with a retractable hard top, so the designers and engineers have enough experience to make this new convertible better. 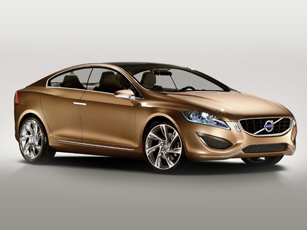 "We have carefully redesigned the front and rear of the car so they harmonise more with the larger Volvo models. We have also increased the exclusiveness of the interior materials and trim details to enhance the feeling of luxury," explains Fedde Talsma, Exterior Chief Designer of Volvo Cars. The car will be available with four engines, two diesel powered and two petrol. The well known 2.4 turbo diesel with 180ps and 400N/m of torque, which does the incredible 42.8mpg and only 174 g/km CO2. 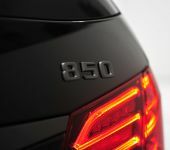 There is also smaller 2.0 liter turbo diesel, which delivers 136ps and 320N/m of torque with less fuel consumption - 47.1mpg and less emissions - 158 g/km CO2. The petrol engines are the 2.5 liter T5 with 230ps and 320N/m of torque. This monster manages to do 31.7mpg. The less powerful is the 2.4i with 170ps and 230N/m of torque. This engine has worse mpg rate and worse emissions than the T5. When people talk about safety, they mean Volvo. That's why the engineers took extra care about the passengers safety. 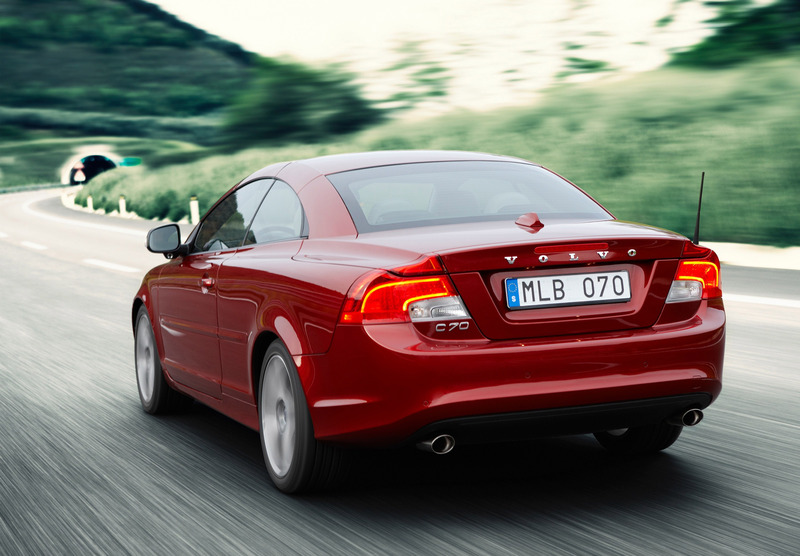 The Volvo C70 features sturdy metal roll bars that extend up behind the rear seat passengers to create added protective space should the car roll over. These bars, which are part of Volvo's Rollover Protection System – ROPS – are activated by a gyro-sensor. One important part of the side-impact and rollover protection is the inflatable curtain, IC, which is installed in the doors as there is no roof rail to fit it to.In addition to the inflatable curtains on either side, the front seat occupants also have side-impact airbags. The size of these bags is dimensioned to protect both the chest and hips. 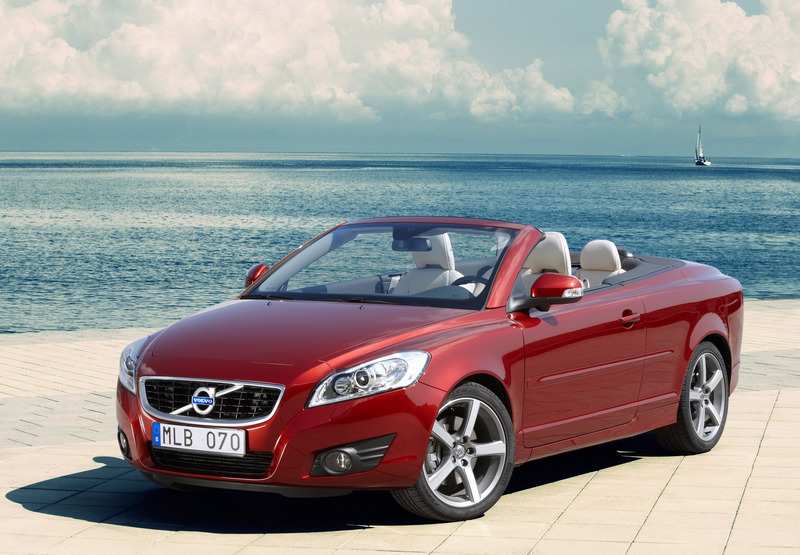 At its launch in early 2006, the Volvo C70 broke new ground as the world's first four seater convertible with a retractable hard top. More than three years on, the new Volvo C70 coupe/convertible is set to break new ground with a refreshed design to give the car a new look, roof up or down. The new C70 retains the three-piece retractable roof, spacious seating for four adults and class-leading convertible safety standards as the outgoing model. The front of the new C70 takes inspiration from the S60 Concept that was unveiled in early 2009, thereby making the C70 more closely aligned with the design language of the larger cars in the Volvo range. The refresh extends beyond plastic components as the front wings have been redesigned to give the nose a more distinct wedge-shape. 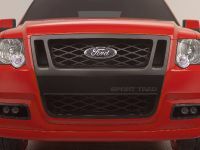 There are new headlamps which now have a more pronounced upward orientation, whilst more detail has been added around the fog lamps and the lower grille. 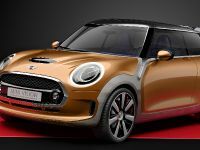 From the front, the bonnet and grille form an open, inviting "V" shape, whilst the enlarged iron mark and the new, larger air intakes reinforce a strong on-the-road stance. To offer even more road presence a dramatic Flamenco Red Pearl colour has been introduced. 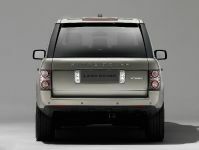 The rear of the car continues the front's new bold design. High-tech LED lamps, as found on the XC60, are the most noticeable addition to the rear and the entire lamp unit is now clearly integrated with the oval that frames the new C70's rear panel. The interior has also been given a refresh to create a more comfortable and luxury feel. The instrument panel has been redesigned to give it a wider, sleeker look with improved finish. The surface of the panel has a new texture that enhances the quality feel. To further enhance comfort levels, the seats have been upholstered in a new, softer hide offering all occupants a greater level of comfort. Advanced engine and exhaust filtration means Volvo's engines combine high performance with low environmental impact. 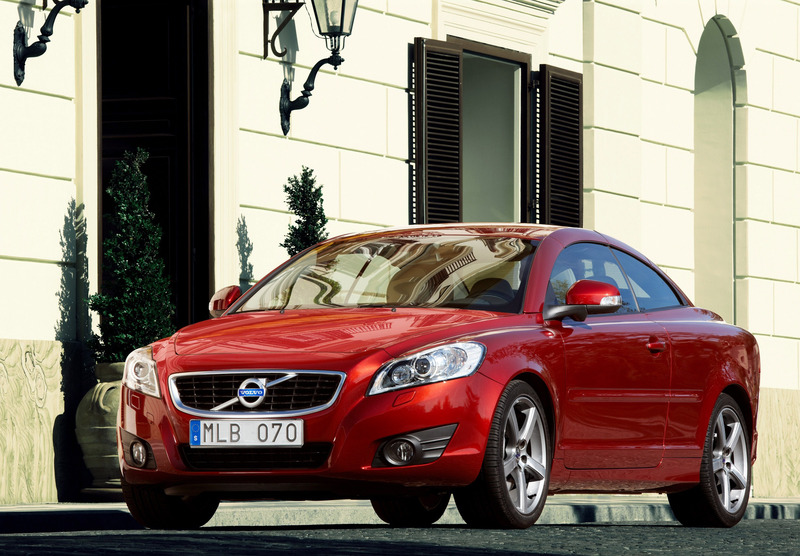 The Volvo C70 is available with the following petrol and diesel engines. The preliminary fuel consumption and CO2 emission figures apply to models with a manual gearbox running in the combined driving cycle. 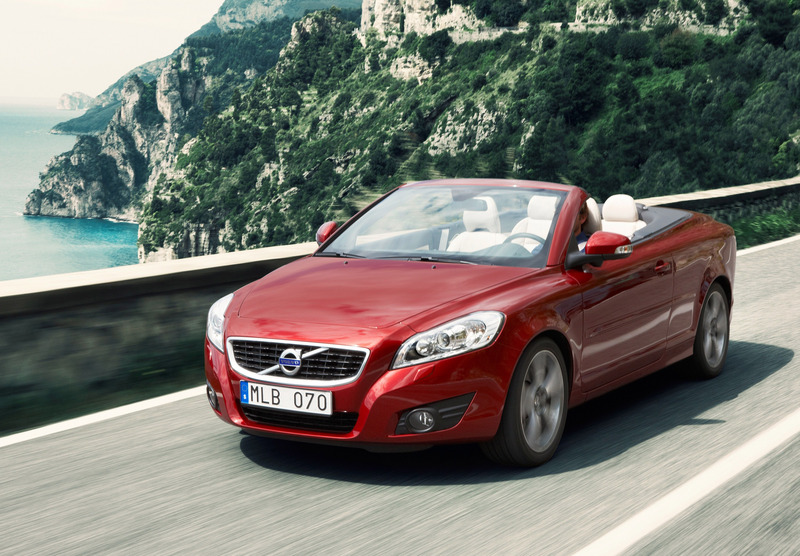 The Volvo C70 transforms smoothly from a coupe into an open convertible in just 30 seconds. 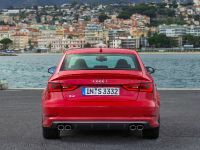 At the press of a button, the three-part steel roof folds quickly and silently away, disappearing neatly into the boot. 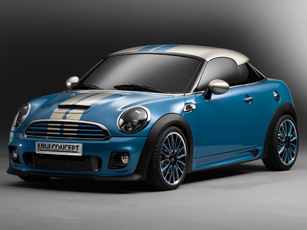 It has also been engineered as one of the safest convertibles on the market with regard to both preventative and protective safety. 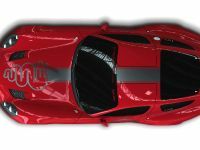 The car has an advanced body structure and several solutions that are unique to convertible cars and the lack of a fixed roof has been compensated by structural reinforcements. The Volvo C70 features sturdy metal roll bars that extend up behind the rear seat passengers to create added protective space should the car roll over. These bars, which are part of Volvo's Rollover Protection System – ROPS – are activated by a gyro-sensor. Since the Volvo C70 has a glass rear window, the bars force through the glass if the roof is in place and so have been fitted with small hardened metal spikes that break the glass to guarantee protection. 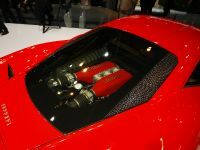 One important part of the side-impact and rollover protection is the inflatable curtain, IC, which is installed in the doors as there is no roof rail to fit it to. The curtain has an extra-stiff design so the curtain can remain upright and help protect the head effectively even if the window is open. The curtain also deflates slowly, helping to provide added protection should the car roll over. In addition to the inflatable curtains on either side, the front seat occupants also have side-impact airbags. The size of these bags is dimensioned to protect both the chest and hips. The IC interacts with the belt pre-tensioners to offer the best possible protection for front seat occupants in the event of an accident. All four seats come with safety belt pre-tensioners. 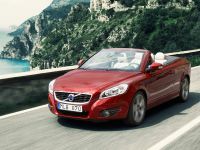 Full details, including prices and specification, of the new Volvo C70, will be released closer to the on-sale date. First C70s are expected to be in showrooms and delivered to customers in early 2010.